Grease a rimmed baking sheet. Set the oven to low broil. Place the tomatoes in an even layer on the greased baking sheet. Set under the broiler for 10 minutes. Remove and toss the tomatoes. Redistribute into an even layer. Return to the oven and broil another 10 minutes. Remove and allow to cool. Husk the corn. 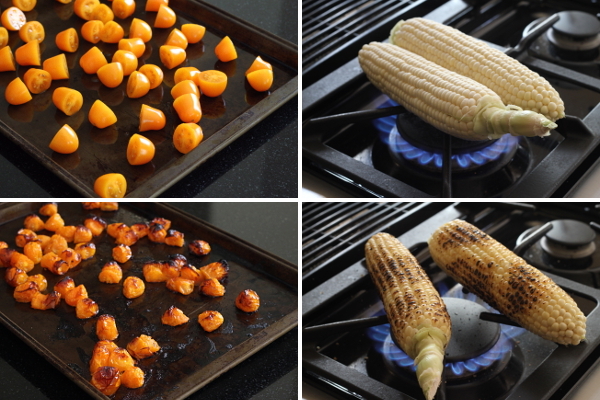 Set over flames on a gas stove or grill. Turn until charred all over. Remove from heat and allow to cool. Slice the kernels off of the cob. 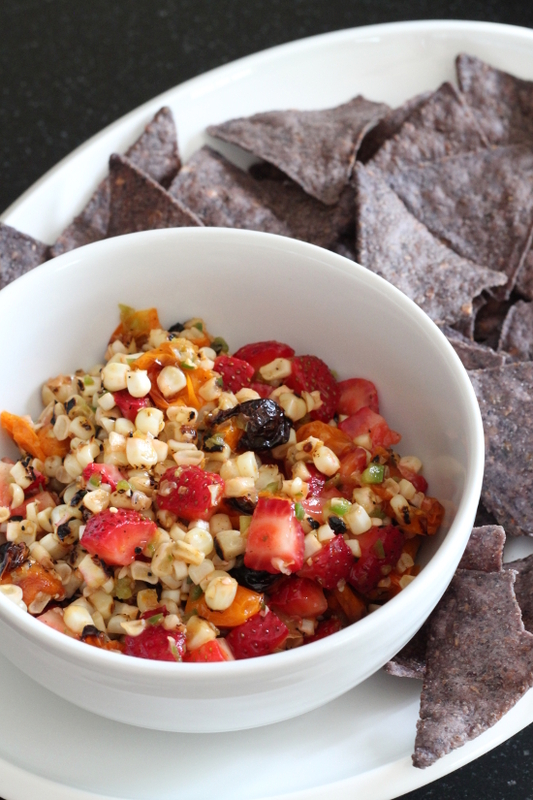 In a medium-large bowl, combine the tomatoes, corn, strawberries, jalapeño, lime juice, and salt. Stir well. Let sit for 15 minutes before serving. 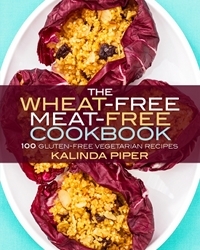 This recipe is being shared in Allergy Free Thursday and Gluten Free Fridays. Combine the flours, corn meal, sugar, and salt in a large bowl. Whisk thoroughly. Slice two of the peaches into large chunks. 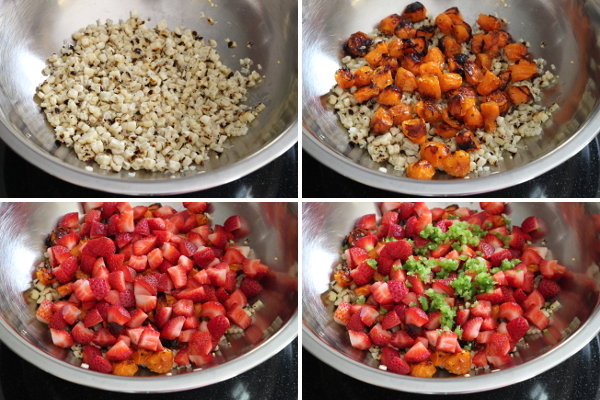 Place in a blender with ½ cup water. Blend until smooth. Add enough water to make 2 cups of peach puree. Slice the remaining peach into ½-inch pieces. Crack the eggs into a large bowl. Whisk until frothy. 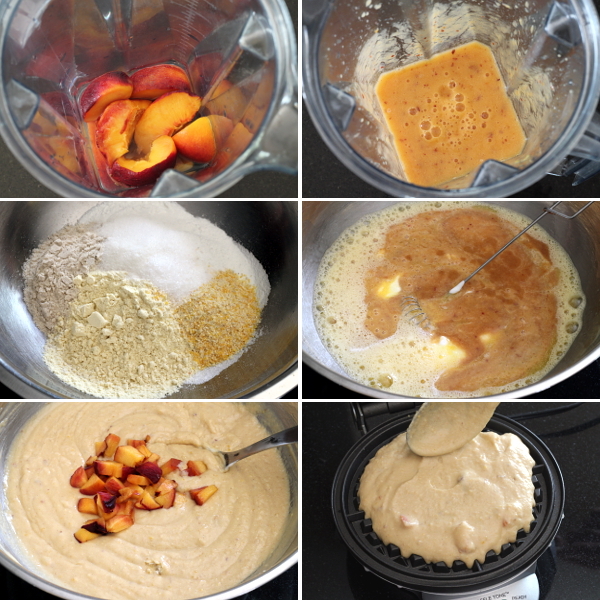 Whisk in the yogurt, butter, and peach puree. Add the dry mixture to the wet mixture. Stir until combined. Stir in the peach pieces. Spoon batter into a waffle maker and cook according to waffle maker’s instructions. 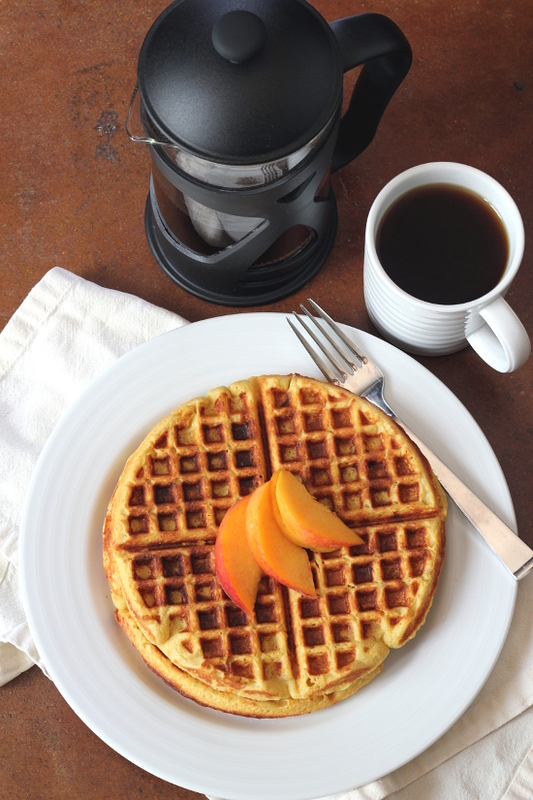 It helps to spoon the batter around the waffle iron to ensure that the peaches all aren’t clumped up in the middle. Also, if you really love peaches, you could probably add another peach’s worth of pieces to the batter. This recipe is being shared in Allergy Free Thursdays and Gluten Free Fridays. I love lima beans! I was making a variation of my Lima Beans with Artichokes and Sun-Dried Tomatoes last week and decided it was time for another lima bean recipe. I hope you like lima beans too. Heat a large skillet with a lid over medium-high heat. Add the olive oil. 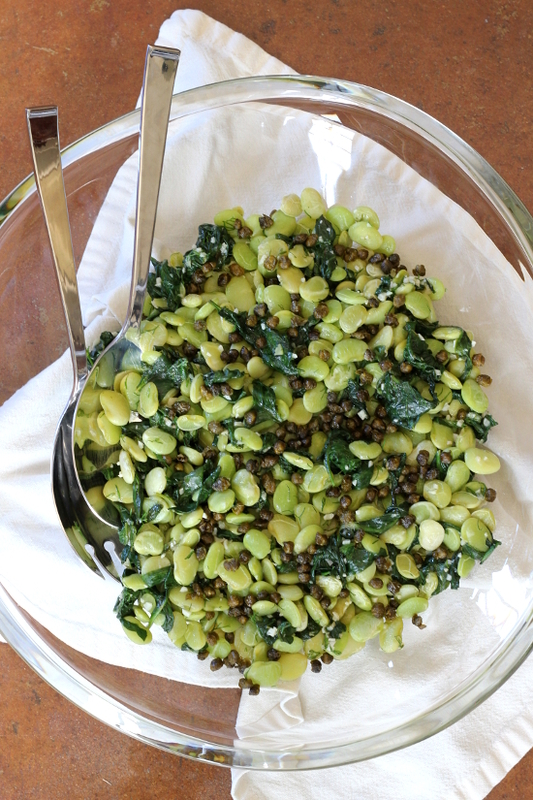 Once shimmering, add the capers. Fry until starting to brown, about 3 minutes. Remove from the skillet and set aside. Reduce the heat to medium-low. Add the garlic, lima beans, water, and salt to the skillet. Stir to combine. Cover and simmer for 20 minutes. Stir in the spinach. Cover and cook 3 minutes. Remove from the heat and stir in the dill and lemon juice. Top with the fried capers. Serve. Even though you’ve reduced the heat, it’s advisable to get the water in the pan pretty quickly after the garlic. 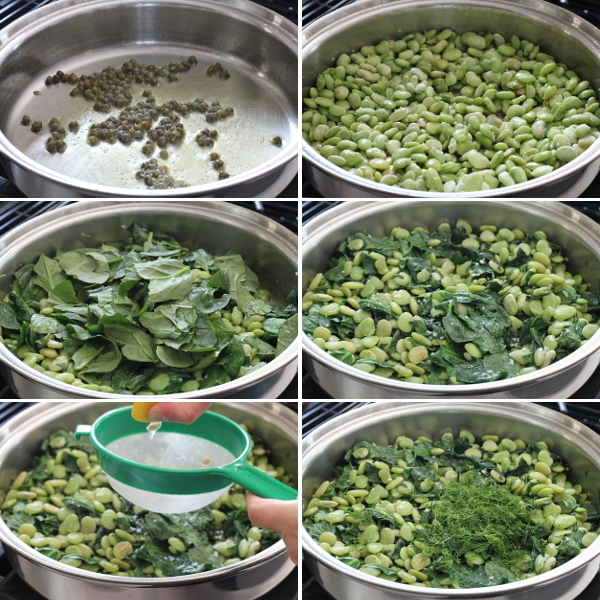 The pan is still pretty hot, and if, for example, you try to individually measure out four cups of lima beans after you’ve added the garlic, it will burn. Put the coconut in a small skillet. Set over medium heat. Cook, stirring frequently, until lightly browned and toasted, 4-5 minutes. Remove from the heat and allow to cool. Place the cream cheese, ginger, cinnamon, cloves, and cardamom in a medium bowl. Stir well. Once the coconut is cool, stir into the cream cheese. Thinly slice the mango, then cut into 3/4-inch pieces. 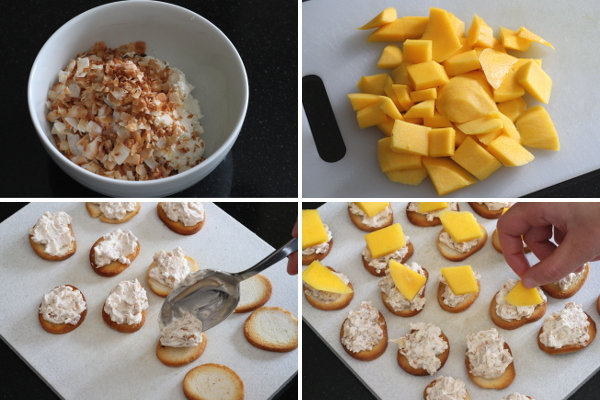 Spoon a small amount of the cream cheese mixture onto a bagel chip, then top with the mango. Repeat until all the cream cheese is used. Serve. 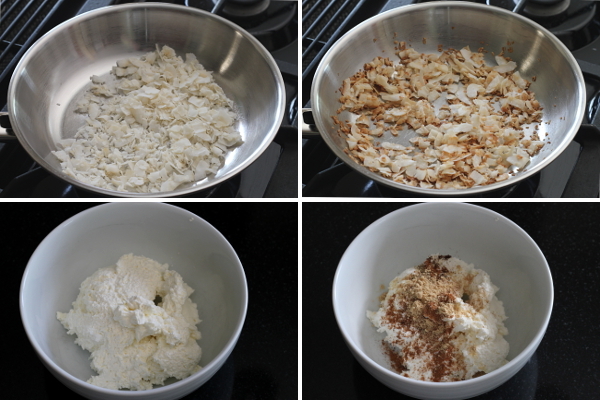 If you wanted to just make the chai coconut cream cheese for other uses, I’d suggest mixing in a little bit of sugar. 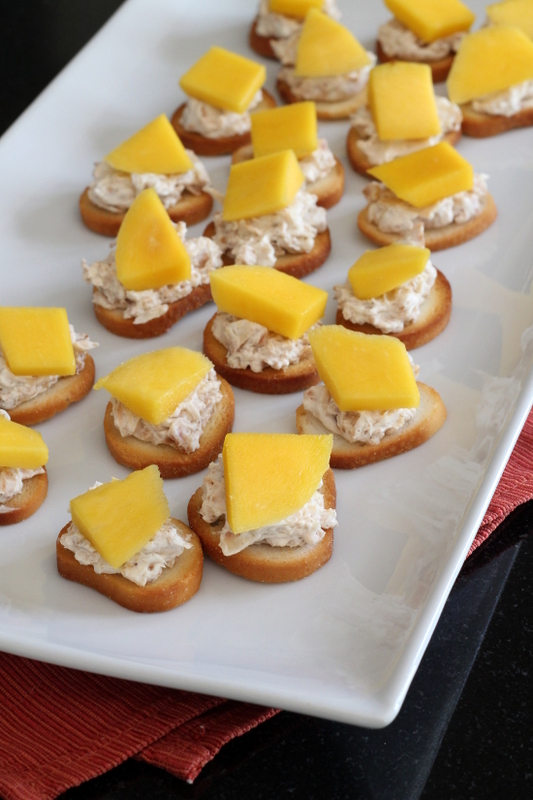 This recipe is being shared in Allergy Free Thursday. and Gluten Free Friday. 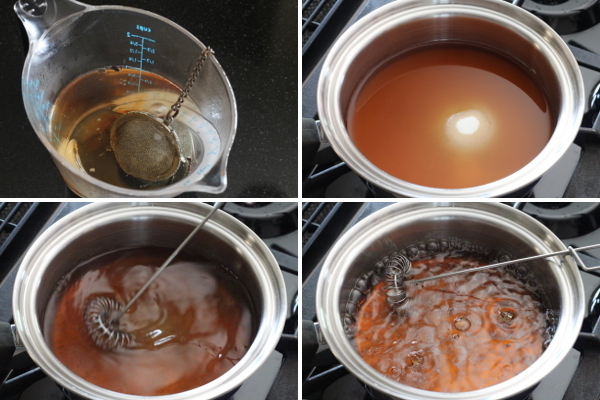 Combine the sugar and tea in a small saucepan. Set over medium-high heat. Whisk thoroughly, until the sugar is completely dissolved. The syrup should be clear. Remove from the heat and set aside to cool. 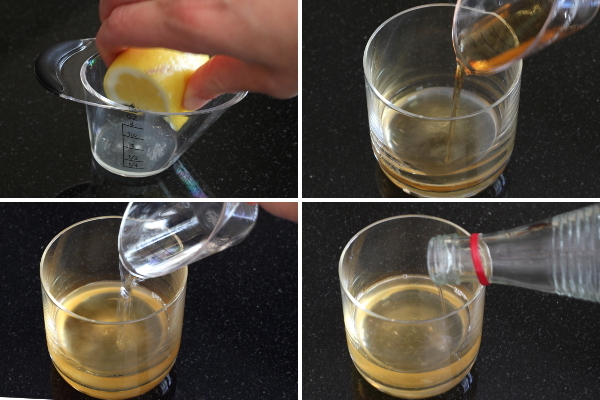 Combine all ingredients in a rocks glass. Add ice and stir. Garnish with the lemon slice. 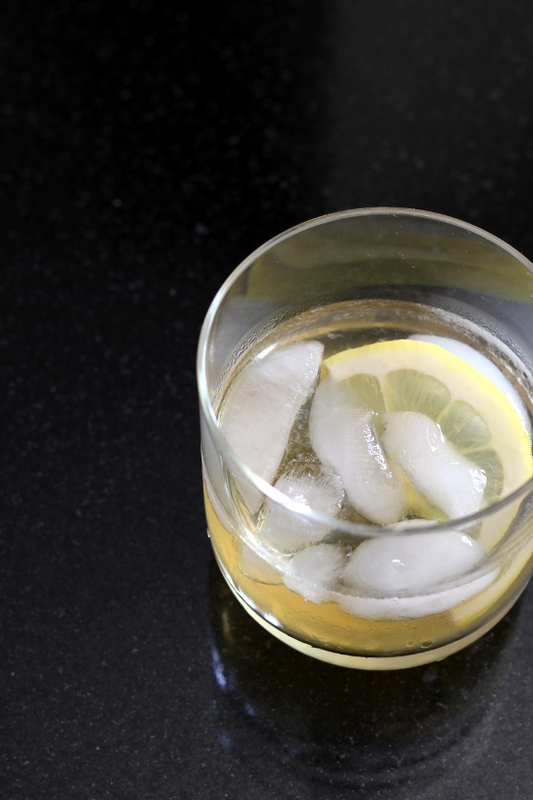 For a fun twist, shake with ice, strain, then top off with sparkling wine or sparkling water. I keep my simple syrup in a plastic condiment bottle in the refrigerator. It’s easier to measure out small amounts. If you like making cocktails, I highly recommend a 2 ounce measuring cup. It’s more accurate than a regular shot glass, and there are fewer dribbles since it’s actually designed for pouring. Mine is from Pampered Chef. I remember it had a ridiculous price for something so small, but I love it. I think Oxo makes one too.